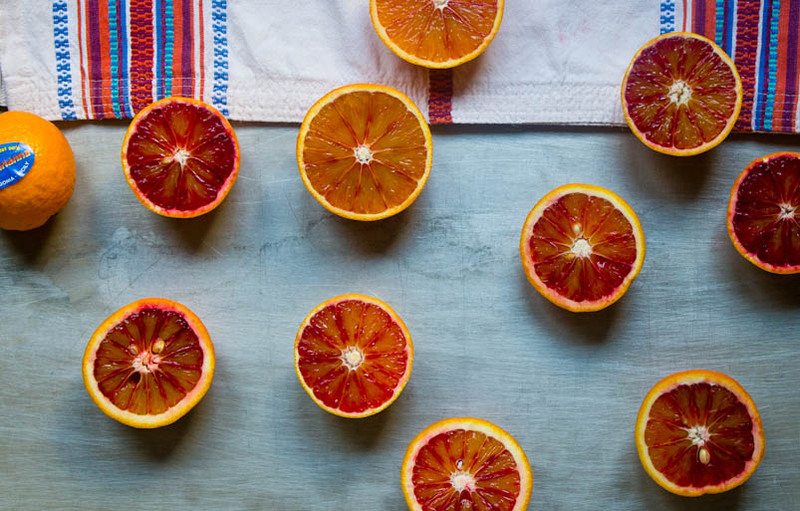 Regular readers of this blog will know that I have a soft spot for blood oranges. I love everything about them: their bitter-sweet taste, the element of surprise- how ruby red will they reveal themselves once stickily peeled? But mostly, I love their short-lived season. In my privileged little corner of East London, I can have whatever I want, whenever I want it. A bag of plum heirloom tomatoes? A bottle of artisan gin? A plate of snails and bone marrow? All a five minute walk away from where I’m sitting right now. So a fruit that is in season for only a few short weeks, that you actively have to hunt down? That’s a real rarity. I can have the plumpest blueberries, crunchiest green beans and juiciest apples all year round, but you try finding blood oranges in August. Go on. They are also in season when we need them the most, because despite a few days there where Spring seemed like it might not be a complete impossibility, winter seems to still be clinging on for dear old life. So these bursts of sunshine are a real saviour in these desperate times. There aren’t many weeks left to make this marmalade, but I did just see the last of the Seville oranges at my greengrocer’s. Get out there quick! This is based on Nigel Slater’s marmalade recipe in the Guardian a few years ago. 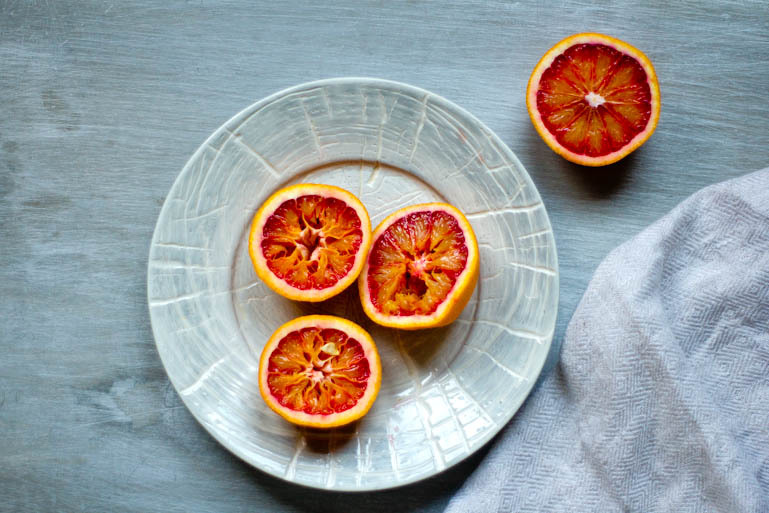 I’ve added blood oranges for a bit of sweetness, Sevilles can be a bit too bitter for some. You can find the original recipe here. 1. Remove the skin and pith from all of your oranges and lemons. There are lots of different schools of thought as to how to do this, Nigel suggests scoring with a small knife into quarters then peeling. Others halve the oranges, squeeze out the juice and then hollow them out before cutting each half into larger chunks. Your call. 2. This is the slightly tedious bit. You need to cut all your peel chunks or quarters into shreds- either thick or thin depending on your preference, or a bit of a mixture of you can’t quite be bothered. Do this in batches, sit down, put the radio on. It’s a sticky, messy, time consuming business, there’s no way around it. 3. Reserve all the pulp, seeds and any juice spillage. Squeeze all juice into a measuring jug and make up to 4.5 litres with cold water. Pour into a large bowl and add all of the sliced peel. Place the squeezed out pulp and seeds into a muslin bag or tie in a cloth and leave to soak in the juice overnight. 4. The next day, transfer the juice and bag into a large pan. Bring to the boil, then lower to a simmer until the peel is soft and almost translucent- about 1.5 hours. Lift out the bag and bring the pan back to a boil with the sugar. Once the bag is cool enough to handle, squeeze out any residual juice into the pan with rest. Put a saucer in the freezer. 5. Keep at a rolling boil until the marmalade reaches setting point. You can test for this by dolloping a teaspoon of the mixture onto your cold saucer. Once cool, it should crinkle when pushed with a finger. If it doesn’t, you aren’t there quite yet. My marmalade took just over an hour to get to this point, but do keep testing as yours might take less time. 6. 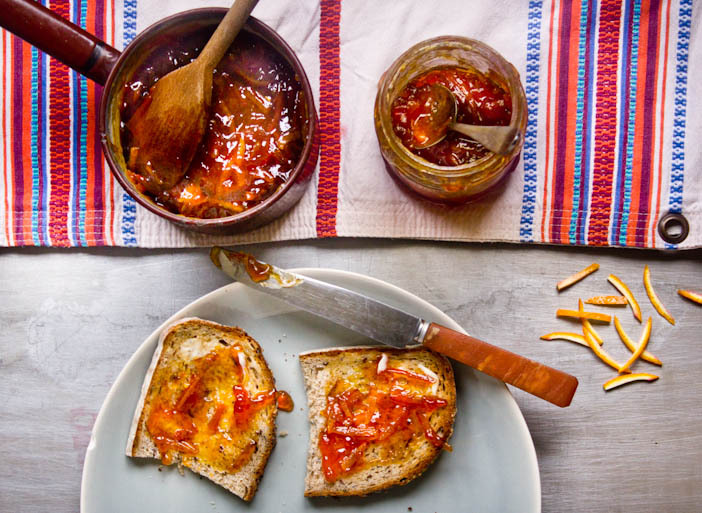 Pour or spoon the marmalade into sterilised jars and leave for about 10 minutes before sealing. Leave to cool completely before storing, or cracking open and spreading on hot buttered toast.